Save money and money will save you, keeping this thought in mind a topic for today’s discussion is how to save more money? Money, money and money! The world is crazy about this five letter word money. People are running after money like anything. Everyone knows that money can’t buy happiness but still money is required for living life. Earning money is one part and saving money is another part. If you have a problem with limited income and unlimited expense or if you are very bad at spend management here is something interesting for you. In this post, I will be sharing 15 tricks to save money. I have already used these tricks and I am sure these tricks will surely help you to save money from your household expense. The first trick to save money is using envelop system. Believe me, you can save a lot of money from household expense by using this trick. In this trick, you need to make different envelops for different monthly expenses. 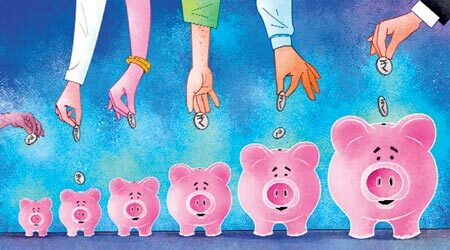 For Example – Pick categories where you are facing the trouble of saving money. Make envelop and place the minimum cash you need for this category. Stick to this system and I am sure you will be able to save money. The second trick to save money is by using cash back credit card. There are many cashback credit cards available in the market that offers cashback facility on dining out, watching a movie, fuel purchase, grocery purchase etc. If you can control credit card spending this method is best. For Example – I am using Standard Chartered Manhattan Platinum credit card that offers me 5% cash back while doing grocery shopping. Transportation is one of the biggest household expense. In most of the cases people use either two wheelers or four wheeler. A skyrocketing cost of petrol and diesel is a big reason of worry for many people. You can save a big chunk of money in this category. The trick of saving money in this category is using public transport or making use of carpool. I recommend using carpool to save money. Another trick or way to save more money is on the mobile bill. If you are using post-paid plan you should opt for a prepaid plan. It helps you to save more money as you are going away from unnecessary value-added services. If you wish to continue your post-paid plan make sure that you using most economic plan as per your requirement. For example – I was using Vodafone Rs.458 Plan for 84 days. Now I have switched to Jio Rs.399 plan which offers similar benefits at lesser price for 84 days. Next trick is to adopt online shopping for saving more money. Online products are available at a comparatively lower price. Follow the tips given below to save more money while shopping online. Compare the price before buying any product. Use online tools such as Price Dekho, Google Shopping, and My smart Price etc. Check for coupon and cashback discount many website offers discount and cashback for using specific credit card. You can use payment wallets like Mobikwik, Freecharge, PayU and Paytm. Payment wallet gives benefits of cashback and discount on online shopping. Avoid offer deal such as buy 2 and get 1 free. Accepting these type of offer is main reason of impulsive shopping. Grocery is one of the unavoidable expense for the household. I have used following tricks to save money on grocery shopping. Prepare shopping list every time you go for shopping. This will help us to avoid impulsive buying. Prefer wholesale buying shop. I purchase most of the items from Metro Shopping mall which is a B2B concept and offers me goods as lowest price. You need a metro card to buy for doing shopping from Metro outlets. This card is only given to businessman or self-employed person. If you are spending more money on entertainment you can use following tips to save money on entertainment expense. Cancel newspaper and magazine subscription that is not required by you. Use free app available for reading newspaper and magazine. Use online portal like bookmyshow or Paytm for booking movie ticket. This method helps you in getting cash back and discounts. Reduce or eliminate cable TV subscription. Subscribe to only those channel that you want to watch. Also Read – How to save more money with limited income? Next trick is for saving money on the utility bill. Some of the ways you can adapt to reduce utility bill are by replacing normal lights with CFL or LED. Another way is to unplug and remove unused electrical devices. Food Expense is one of the most common problem areas in the average Indian budget. Here are some ways to save money on food and eliminate waste. Reduce or eliminate eating out. By eating at home, you save money that would otherwise be spent on tax and tip. Another method of getting discount and cashback on food is ordering food online. You can use Zomato or Foodpada for ordering food online. You should avoid buying unnecessary products. This will surely help you to save money. Few products in this category are water bottle when you visit outside. Branded products, food and drink at a movie theatre, CD & DVD, gym membership etc. Unhealthy habit cost extra money. This includes drinking alcohol and cigarettes. Leaving such habits helps in two ways. First, it helps in saving household expense. Secondly, it also reduces your health-related expense and health insurance premium. Another trick to adopt is keeping no spend days or no spend weekend. In this method, you need to keep few days from a week as no spend days. On that day you need to spend minimum money or no money. It is one of the best ways to control your expense. You can also use trick of saving money of specific denomination every week. The denomination varies based on your budget. To start with you can keep condition to save 100 rupee every week and later you can increase to 500 rupee even. Another idea to save money is reducing internet cost. Make sure to select appropriate plan for the internet at home. You can avoid this cost and make use of mobile internet pack. If you are frequent credit card user trick which you can adopt is hiding your credit card and using cash instead. This will surely help to save money as it reduce impulsive buying and you can control your budget. The methods and tricks mentioned above will surely help you to save money. I am able to save Rs.53200 last year using above tricks. If you are using any other tricks to save more money or If I have missed any trick which you feel should be included please help me by mentioning it in the comment section given below.